Conservative radio host Dana Loesch, Townhall editor Katie Pavlich, Fox News contributor Meghan McCain and 13 other female conservatives signed a letter on Wednesday stating that Lewandowski's "inexcusable" and "unprofessional" behavior toward former Breitbart News reporter Michelle Fields was grounds for termination. "Donald Trump should immediately remove Lewandowski from his campaign," the letter read. Fields has accused Lewandowski of yanking her arm after a campaign event in Jupiter, Florida, earlier this month. Lewandowski has been charged with minor battery, though Trump said Tuesday night that video of the incident "exonerates him" of any wrongdoing. Corey Lewandowski is accused of yanking the arm of reporter Michelle Fields. The 16 media figures, most of whom are vocal Trump critics, could not disagree more. "The press is to have an adversarial, yet civil approach to those in, or running, for elected office. Never in this line of work is it acceptable to respond to reasonable and legitimate questioning with use of physical force," they wrote. 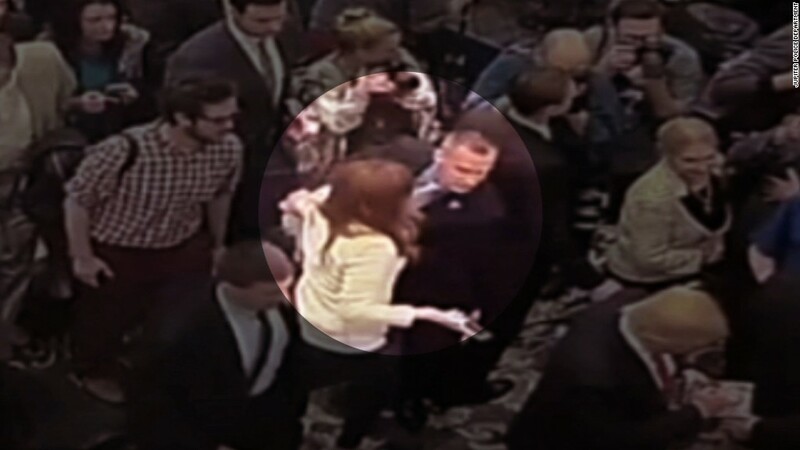 "The photographs, audio, videos, and witness accounts documenting the treatment of Michelle Fields by Corey Lewandowski, Donald Trump's campaign manager, are inexcusable and unprofessional," they added. Two CNN contributors are signatories to the letter: S.E. Cupp, who is also a New York Daily News columnist, and Mary Katharine Ham, who is also a senior writer at The Federalist. Mary Chastain, a columnist at Breitbart News, which has defended Trump against the accusations of its former reporter, also signed the letter. The other signatories are Christine Rosen, Christina Hoff Sommers, Bethany Mandel, Emily Zanotti, Elisha Krauss, Karol Markowicz, Kristen Soltis Anderson, Mona Charen, Sarah Rumpf and Brooke Rogers.